A manually operated mill wchich the ancient Greeks used fron grinding grain. It was still in use until recently. 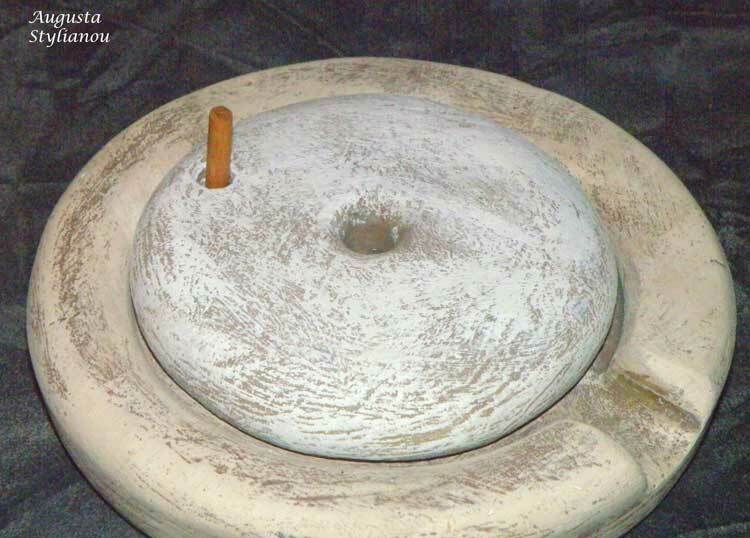 It consisted of two cylindrical stones ("mortar" and "pestle"), the lower of which was fixed whereas the upper one rotated by means of a handle. The fruit entered the central opening in the upper stone, it was ground between the two stones and it came out peripherally due to the centrifugal force.